Mahjongg: Every Monday at 10:30 AM. Come join the fun. Bridge: Every Thursday at 10:00 AM- 1:00 PM. Book Club: Second Wednesday of the month at 10 AM in the member’s lounge. We enjoy a spirited discussion and welcome your input. WOW (Women out Walking): As arranged. See the Committee page in the Member section for contact information. 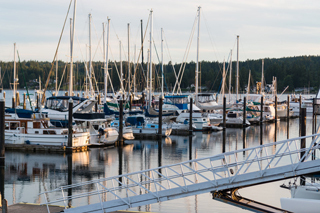 As one of the Grand 14 Yacht Clubs of Puget Sound, PYC members can participate in luncheons and community activities of the Women’s Interclub Council (WIC) which occur throughout the year. Clubs take turns hosting the seven monthly luncheons which present a great opportunity to create new friendships with women from other clubs around Puget Sound. Advanced registration for WIC events is required. For 2018-2019 our PYC WIC Representative is Inez Schwartz and WIC Alternate is Liz Mackall.